This entry was posted on January 5, 2018 by Lisa Rhodes. New Year, New You! Is your New Years Resolution to loose weight and get into shape? We are offering one lucky winner the chance to WIN one FREE session of specialist 3D lipo treatment at our Professional beauty salon based in Islington, London. 3D Lipo offers a new approach to non-surgical fat removal, body contouring, skin tightening and the treatment of cellulite. For both the face & body, 3D Lipo offers amazing results with a bespoke and prescriptive approach to your needs. Email us at dermaciacompetitions@gmail.com and let us know why you would like to win this fantastic prize. Tag a friend in the comments who you think would love to win this prize! * Competition ends 31st January 2018 Midnight.  * By emailing us you agree to subscribe to our monthly newsletters. We will not sell or use your email address for anything else. * Mainland UK entrants only. 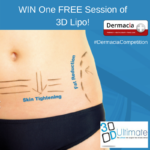 * Winner must be able to get to our salon in Islington, London for their 3D Lipo session. * We will share the winners name and location (not full address) on our social pages. * Facebook hold no responsibility with this competition.